I had some flopppy carrots and a half bar of cream cheese that needed to be used up so the obvious choice was a carrot cake. My original idea was to spice things up by adding currants instead of the traditional raisins because I hate raisins. But Trader Joes, my go-to source for quirky ingredients, no longer carries currants and I wasn’t about to go to Whole Paycheck and drop $10 on some fancy heritage currants from the South of France. Instead I got the next best thing, pineapple. I’ve actually never purchased a can of pineapple before or any canned fruit for that matter, so the first step was locating the canned fruit aisle in grocery store, an aisle I avoid like the plague. Who knew there were so many ways you could cut and can a pineapple—crushed, tidbits, chunks, rings? Many recipes call for crushed but that stuff looked a little too beaten up for my tastes, whereas the chunks were way too big. I wanted discernible pieces of pineapple in my cake so the tidbits were perfect. After adding pineapple, the logical next step is to add coconut (another leftover ingredient that needed using up) and of course you can't have pineapple and coconut without some rum. After 2 trips to the grocery store and a few hours later, I was standing in my kitchen frosting a cake at nearly midnight and realized my quest to use up 3 leftover ingredients had yielded an enormous 2 layer cake probably weighing close to 5 pounds. Funny how things turn out sometimes. It was way too much cake for Steven and me, but we had plenty of people to share it with. I have yet to meet someone that does not like cake, especially homemade cake. Not to mention, cake for breakfast is a truly glorious thing. If you can’t find the tidbits, crushed is a good substitute or if you really want to go the extra mile you can cut up the pineapple chunks into smaller pieces. A food processor would come in handy for shredding the carrots but grating by hand is not impossible. Next time I might try to bump up the carrot content to a full 1 pound. Preheat the oven to 350 degrees. Butter and flour 2 8 inch cake pans. A 9 inch cake pan would also work but baking time will be shorter. Add the drained pineapple to the shredded carrots and set aside. In a blender, add the 4 eggs, brown sugar, and granulated sugar. Blend on a low speed for a minute. Slowly drizzle in the melted butter and oil and blend for 4 more minutes. Meanwhile, in a large mixing bowl, whisk together the flour, baking powder, baking soda, salt, and spices. After the liquid mixture has finished blending, pour the blender contents into the dry ingredients, add the grated carrots and pineapple, and gently fold the batter with a rubber spatula until no streaks of flour or chunks of carrots remain. Pour the batter evenly between the two cake pans and bake at 350 for 30 – 35 minutes or until a skewer inserted in the center of the cake comes out clean. Start checking the cake after 25 minutes. The completed cake before going into the fridge. Breakfast the next day. This frosting is absolutely magnificent. Like pineapple and coconut, browned butter and rum is one of those combinations that just works. This is a great all purpose frosting and can be used for other cakes, not just carrot cake. After browning the butter, the milk solids can be strained out for a clean looking frosting but I like the freckled look. The specks of milk solids also camouflages any cake crumbs that falls into the frosting, something I appreciated as I was frosting a cake in a sleep deprived state at 11pm. Have a heat proof bowl resting in an ice bath ready. In a small saucepan, melt the butter medium low heat. Cook the butter slowly and stir occasionally. First it will look like melted butter, then it will start to bubble and sizzle, and after a while it will start to clear and the milk solids will start to separate out of the fat. Slowly the solids will turn golden and then a light golden brown and the butter will smell nutty and caramely. When this happens, take the off heat and pour it into the bowl in the ice bath to cool it down quickly. If you let it sit, it solids will continue to cook and may burn. Cool the butter to room temperature. Meanwhile, take the cream cheese out and bring it to room temperature. After the butter has cooled, beat the cream cheese and 1 cup of the powdered sugar. Slowly drizzle in the melted butter and add another cup of powdered sugar. Add more sugar according to your tastes. I added 3 cups of powdered sugar total and the frosting was the tiniest bit grainy at that point but it wasn’t a deal breaker. Next time I'll stop with 2 1/2 cups. Slowly drizzle in rum to your tastes, starting with 1 tablespoon. I like my frostings on the boozy side but too much liquor and the frosting will be too runny. A good rule of thumb is 1 tablespoon of liquor for every cup of powdered sugar you add. Continue beating the frosting until it is fluffy and pillowy. It will have a consistency similar to whipped cream but have more structure. Carrot cake is and always will be one of my favourite cakes. Throw in some coconut and I may just give up my usual recipe. Do you want to trade for a Bakewell Tart slice? Seems delicious. Oh my! That looks utterly divine. Love the sound of the rum frosting!!! Yummy the frosting sound so delicious. BEAUTIFUL!!!!!!!!! Loving the brown butter rum cream cheese frosting!!! That looks so good! Now I am going to have to make me some! Have you moved? I miss your yummy posts and beautiful pictures! wow! that cake looks amazing! Sorry, but Amy has been extremely busy with medical school and thusly has not been updating her blog as much. You're amazing. I pretty much can't bake cakes like that! My reader would love this blog. Nicely done! Love carrot cake. Will have to try this recipe. Looks delicious! Wow, this sounds fantastic! These will be a new recipe for my Christmas boxes. I like to try put new and different kinds of cookies each year. 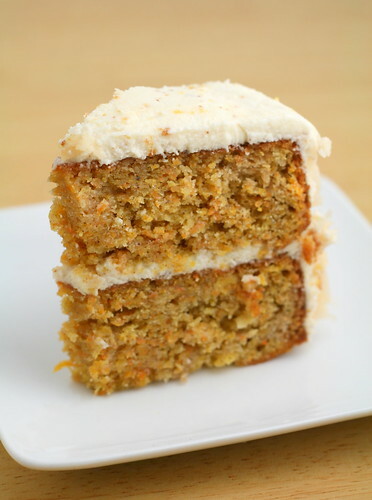 Oooh wow - you had me at carrot cake, but brown butter rum cream cheese frosting??? Yum!! 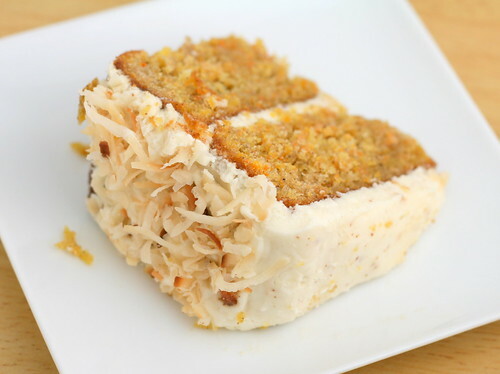 Wow.. Stumpled upon your website and found this great carrot cake with CREAM CHEESE frosting. 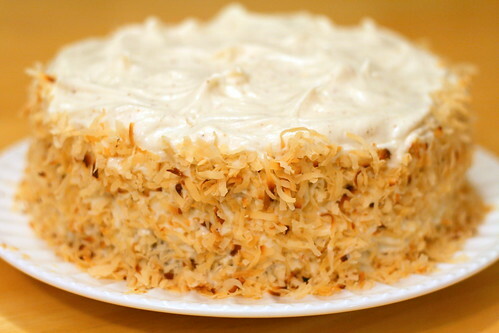 I always want to make cream cheese frosting and thanks for the idea of adding rum into it! Great posts! Wow this is so good .